Today has been a day full of wonderful reveals! First, we got to see the final theatrical poster for The Force Awakens and then some mini teasers to promote the trailer that we will see tomorrow during Monday Night Football on ESPN. So let’s take a look. For the first time we got to see the complete ensemble of lead roles except for Luke. Once again we can see Finn sporting the Skywalker Lightsaber in all its glory. But if you look closer, you’ll notice Leia! She’s come a long way from sporting her traditional “Space Buns”. You may also notice a figure that is short in stature standing next to Artoo. That is who we assume to be Maz Kanata, however we are unsure at this time. Lastly you can see something very large behind Finn. That’s no space station! We can only assume that it is the infamous Starkiller Base. It seems that they won’t have to worry about a thermal exhaust port this time and what do ya know, free internal cooling! Maybe the First Order hired PC enthusiasts. We also spotted Michael Ardnt’s name in the credentials which we assume is only there due to his initial involvement. It also seems that different countries have different versions of the poster which feature the correct release dates for each region. In today’s teasers we caught a glimpse at our new trio. These 15 second teasers show us never before seen footage that wasn’t too revealing to say the least. However, we did get to see a bit of character development as Finn and Poe crossed paths with each other. Seeing the exchange makes us wonder if we will see a close bond between the two form to create some sort of family element within the trio. If you ask me, I don’t want to see him until I see the movie. We don’t need to know every detail, we just need enough to make us want to see the film and with or without a new trailer, everyone is going to see it. We’d love to hear your thoughts on today’s reveals! Feel free to catch up with us on Social Media! 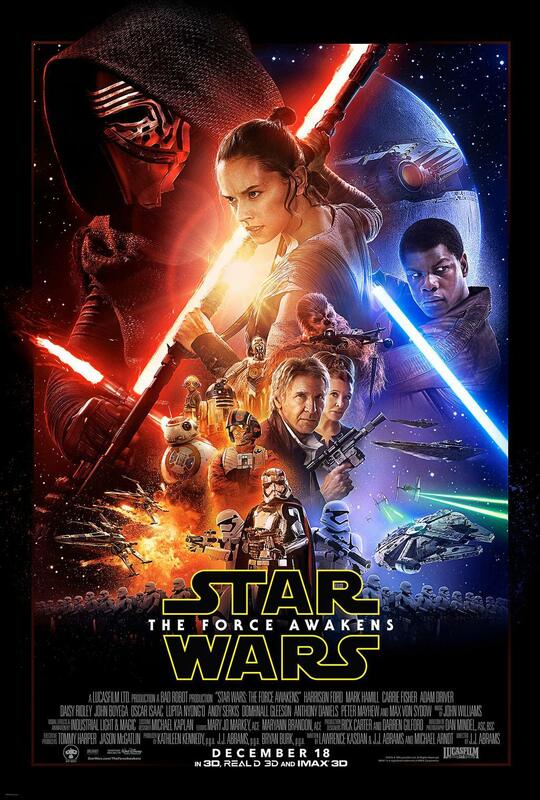 Previous Previous post: New Star Wars: The Force Awakens Theatrical Poster Has Arrived! Next Next post: The Trailer Is Here!